The Board of Trustees of the Asian Institute of Technology (AIT) has unanimously approved the AIT Presidential Search Committee (PSC) recommendation to appoint Dr. Eden Y Woon as the next AIT President, effective 1 September 2018. The Board of Trustees of the Asian Institute of Technology (AIT) at its most recent meeting, unanimously approved the AIT Presidential Search Committee (PSC) recommendation, to appoint Dr. Eden Y Woon as the next AIT President, effective 1 September 2018. 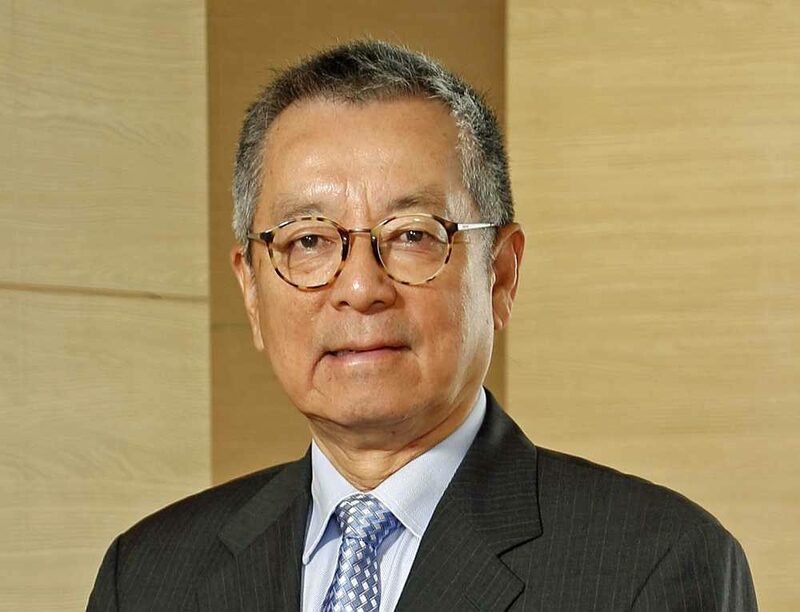 Dr. Woon is currently Vice Chairman of Alba Group Asia (Alba Group is one of the world’s leading recycling and environmental services companies, headquartered in Berlin.) He is also the Special Advisor to the Hong Kong-based Shaw Foundation, a charity organization which has been a strong supporter of education for decades, including awarding the prestigious global Shaw Prize in Astronomy, Life Science and Medicine, and Mathematical Sciences since 2004. Prior to November 1, 2017, Dr. Woon was the Vice-President for Institutional Advancement of the Hong Kong University of Science and Technology (HKUST) from 2010 to 2017. In this position, he was responsible for the university’s global relations, government relations, its China affairs, fundraising, alumni affairs, and public affairs. Dr. Woon was part of the five-person leadership group of HKUST, a top international university which is ranked #30 globally in the most recent QS World University Rankings. He has been on the Council of the Open University of Hong Kong for the past six years, and he was a member of the Advisory Board of the University of Iowa Business School. In the late 70s /early 80s, he was on the Mathematics faculty of the US Air Force Academy for six years, becoming an Associate Professor. Dr. Woon received his BA degree (Phi Beta Kappa) from the University of Iowa and his MA, MS, and PhD degrees, all in Mathematics, from the University of Washington in Seattle. Dr. Woon also has extensive experience in the business sector, having served as Vice President for Starbucks Coffee Company in China and Managing Director of Toys R Us China in Shanghai. He was also the Managing Director of Li&Fung Group Office in China, based again in Shanghai. Before that, he was the CEO of the Hong Kong General Chamber of Commerce, the oldest and largest business organization in HK, from 1997 to 2006. From 1994-1997, he was the Executive Director of the Seattle-based Washington State China Relations Council. Dr. Woon has been a board member of the Alba Rising Company—a JV of Alba Group inside China—since 2016—and was a board member of the Beijing-based 21Vianet company listed on NASDAQ. He is the Vice Chairman of the China Committee of Hong Kong General Chamber of Commerce and ex-Board member of American Chamber of Commerce HK. He is an ex-Director General of the Pacific Basin Economic Committee HK and has been advisor/ex-advisor to several China cities/provinces. Dr. Woon is on the Board of the HK Ballet and a HK Justice of Peace. In addition, Dr. Woon had a distinguished military/government career, having served in the US Air Force until 1993 when he retired as a Colonel—having been stationed in California, Colorado, Washington DC, and Beijing, China. He was a computer analyst for the US Air Force Systems Command for four years, and his US Air Force Academy stint followed that. From 1989 to 1994, he served as China policy advisor to the US Secretary of Defense and also was a member of the US Government team negotiating with North Korea on its nuclear program from 1991-1994. He is a graduate of the National War College and a member of the Council on Foreign Relations in New York. The Board expressed its deepest appreciation to the Presidential Search Committee headed by Dr. Anat Abhabhirama for the time and effort put in the very thorough process for the selection of the new President. The search process was initiated with the advertisement and announcement for the position made through various means on 15 April 2017 and concluded earlier this year.